Additional Therapies - Erin Smith, M.Ac., L.Ac. Moxibustion is another modality of Chinese medicine, in which moxa, or mugwort, is used in various forms and burned over top of acupuncture points and regions. There are many styles and types of moxa, in which the herb is burned over the skin, on the tops of needles, directly on the skin, or is rubbed into areas in its liquid form. Moxa is said to help promote qi and blood circulation, as well as act as a tonic to meridians and organ systems that are suffering from deficiency. It can also help relax tense areas due to its ability to warm the muscle layer, and can help with conditions of cold and damp. Moxibustion is often used in most cases of chronic illness and pain, as well as with many women's health related issues, as it is very effective in stimulating qi and blood movement in the pelvic region. A very specific moxibustion technique has also been historically used to turn a breeched baby. In her practice, Erin primarily practices Japanese style of moxibustion, in which the highest quality of moxa is burned directly on the skin. She uses other moxibustion methods when deemed appropriate as well. Cupping is another common and effective modality that is practiced in Chinese medicine. Typically, in dry cupping, glass cups are adhered to the skin by briefly holding a source of fire under the cup and then placing the cup over the desired area. The fire inside the cup will eliminate the oxygen inside the area, which will create a vacuum once the cup is placed on the skin. There are also plastic cupping devices in which the air is manually sucked out of the cup with a pump until the desired level of suction is obtained. The cups may remain stationary or may be moved along the meridians with the use of an oil or lotion depending on the condition that is being treated. In wet cupping, small amounts of blood may also be removed when the practitioner first uses a lancet or scalpel over the skin before applying the cup (see the Bloodletting section for more information). For many people there will be slight to major bruising for up to 7-10 days in the area that has been cupped. The severity of the bruising depends on how much stagnation there is in the tissues. It is important to drink plenty of water after a cupping treatment, as well as any type of treatment that moves the qi and blood. Cupping is also used in many respiratory conditions and acute colds, as it helps to stimulate the movement of qi and blood, as well as loosen any phlegm or fluids that are congested in the lungs. It is also very effective in promoting the movement of qi and blood when treating many different kinds of musculo-skeletal conditions and pain, and wet cupping is very effective in reducing swelling from acute trauma and surgery. Erin uses many cupping techniques in her practice, both wet and dry methods, for the conditions mentioned above. She typically will do a combination of moving and stationary cups at the end of a treatment for musculo-skeletal pain, and will perform wet cupping when it is appropriate for a given condition. Bloodletting involves the therapeutic removal of small amounts of blood to help with the treatment of acute and chronic disease and musculo-skeletal pain and disorders. This is typically performed using a lancet, 3 edged needle, seven star hammer, or a scalpel device over the affected area or therapeutic points, and then a SMALL amount of blood is removed either with or without the application of a cup. There may be a minor bruise or slight scabbing over the area the bloodletting was performed, but this usually is not very noticeable. In the treatment of acute and chronic disease, bloodletting helps to strongly stimulate the meridian and organ systems that are affected and thus promote natural healing. Bloodletting is also very effective in the use of many types of musculo-skeletal disorders, and it is most commonly performed along diseased areas of the spine and major joints. In most cases of chronic pain, the blood becomes so stagnant that even with the use of acupuncture needles and other modalities, there is still pain and blood stagnation. Bloodletting helps to promote the movement of this stagnate blood out of the body in order to stimulate the circulation of fresh, vital blood to help reestablish normal flow and comfort to the muscles and joints. It is also a valuable tool for areas that have a lot of swelling due to injury or post surgical procedure. Allowing some of the excessive blood and fluids that have accumulated in the swollen area can help to relieve the inevitable pressure and pain that builds up in these areas. This helps to reduce pressure, pain, and bring in fresh blood flow to promote healing of the injured tissues. Erin uses bloodletting in her practice whenever it is needed and the patient is comfortable with receiving the treatment. Most people have a negative connotation surrounding the use of bloodletting, but many who need it and try it are pleasantly surprised with its effectiveness. With surgical procedures at an all time high today, it is important to know the implications from a holistic perspective that most doctors do not warn their patients about. Surgical procedure create scars of varying lengths and width, which all have an impact on the channel circulation in the body. If scars are not treated properly, it is very likely for there to be thick scar tissue and issues of qi and blood stagnation in the area where the scar is, and possibly up or downstream of the meridian(s) the scar is disrupting. Such scars can create long term problems, such as a return of chronic pain or problems within the meridian or organ system, which may seem unrelated to a scar. Erin often addresses the issue of stagnant scars during the course of treatments, as it can be a cause of the symptoms one is experiencing. Most people who have acupuncture performed regularly on their scars will notice a difference in how their circulation feels to the area surrounding the scar and they will notice how much softer the scar will become. For many practitioners of Chinese medicine, bodywork is another primary modality that is used in their practice. 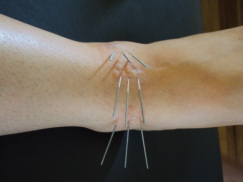 There are many styles of body work that can be effective and used in conjunction with acupuncture treatments. The Chinese form of massage is called tuina, which literally translates to push pull, and complements an acupuncture treatment very well. Practitioners will use a variety of methods of manipulation, including pressing, rolling, kneading, pulling, rubbing, and brushing techniques, which are used along the meridians and around the joints to get the energy and blood flowing to help increase range of motion and circulation and reduce pain. One of the Japanese styles of body work, called sotai, is especially helpful for increasing joint mobility and range of motion. Sotai practitioners use active and passive movements, as well as brief periods of isometric contractions, of affected and tight or immobile joints. These gentle movements help to retrain the neuro-muscular system to allow the muscles and nervous system to relax and the joints to open. There are many other effective forms of body work as well, which utilize different techniques for similar effect. In her practice, Erin uses both tuina and sotai, as well as other bodywork techniques she has learned along the way, when she feels these modalities will further increase the therapeutic result of her treatment. Sho ni shin is a specialized form of treatment for infants and children, which originated in Japan. Practicioners of sho ni shin, which translates to little children needle, use non-insertive tools of different sizes and shapes (ie., teishin, enshin, and zanshin) and gentle techniques over the points and meridians of children, as well as adults. Due to the rapidly changing energetic system of children, the sho ni shin techniques, although gentle and non-invasive, are very effective in influencing the energetic and physical bodies of children. The sho ni shin techniques involve rhythmic rubbing, tapping, and pressing of the acupuncture points and meridians to give gentle types of stimulation, which harmonize and tonify the energy of the child. Sho ni shin treatments are effective for a wide variety of childhood ailments, and treatments are usually much shorter than a typical acupuncture treatment and can last as little as 5 minutes depending on the age and condition of the child. Sho ni shin tools and techniques can also be incorporated into an acupuncture treatment for adults, or it can be used instead of needles for patients who are particularly sensitive or are wanting other techniques to be used. These gentle techniques are effective for stimulating, harmonizing, and tonifying the energetic systems of adults as well as children. Erin has some experience working with children and the sho ni shin techniques. She has always loved interacting with children, as she was a nanny for many years, and looks forward to expanding her pediatric sho ni shin practice. She incorporates these techniques into her general practice as well, especially for those who have a higher level of sensitivity and may prefer the non-insertive techniques. Many practitioners of Chinese medicine undergo training in some of the many different styles of qigong and incorporate it into their daily lives, and some practitioners also lead classes and advise their patients to incorporate qigong into their routines. Qigong literally translates to life force/energy work, and it involves the use of rhythmic breathing with slow, mindful repetition of various movements. There are several different ways of practicing qigong, which include dynamic, static, and meditative practices. Dynamic qigong includes practices such as taiji chuan, as well as bagua zhang and xing yi, which involves slow, choreographed movements, which are coordinated with the breath and spatial awareness. Static qigong practices involve holding different postures for different lengths of time with focus on the breath, which is how yoga is often practiced as well. Meditative practice involves breath awareness, visualization and mantra and can be performed seated, standing, or lying down. There are many health benefits of practicing the various forms of qigong, including strengthening and stretching the body, increasing range of motion in the joints, improving balance, cultivating body awareness and mindfulness, and bringing balance to the meridian and organ systems of the body, all of which help to optimize physical, mental, and spiritual health. 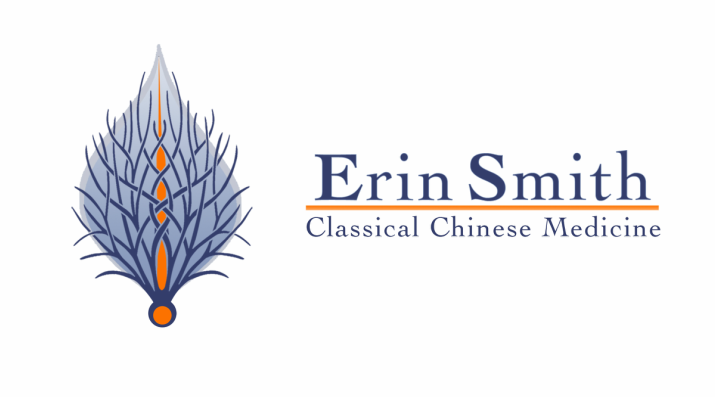 Erin has many years of experience in practicing the various forms of qigong, which she continues to practice some of in her daily routine. She has practiced taiji chuan and the internal martial arts, many qigong forms, standing and seated meditation, and yoga. Erin does not currently teach any full classes at this time, but she will teach her patients specific breathing and movement exercises that may help their specific conditions. Most people will greatly benefit from incorporating at least one of the forms of qigong into their daily lives. Most of the diseases that are plaguing America today are a result of the poor lifestyle habits that most of us are practicing on a daily basis. We are over worked, over stressed, under nourished, sleep deprived, and mostly sedentary. Although acupuncture and the other modalities of Chinese medicine can be helpful for restoring health and balance, the most important thing we can do for our bodies is to take responsibility for our own health and live a healthy lifestyle. If we continue eating poorly, not exercising, not resting enough, and living with too much stress, our bodies will get or continue to be sick. It takes a lot of education, motivation, and the will to live and be healthy, but you too can live your live with vibrant energy and stamina and free of disease and pain. Erin recognizes the importance of the diet and lifestyle for the health of all of her patients. She strives to educate and motivate her patients to make changes to their diet and lifestyle habits to optimize their health, and she helps them make those often difficult shifts in habits by supporting their bodies with acupuncture and Chinese medicine. Erin intends to update her blog often with lots of dietary and healthy living tips, so check back often!